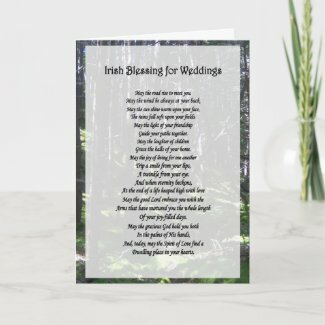 I know I talk about note cards and greeting cards a lot, but I think it is important that we write and send little notes to our loved ones because people need to see that you think there relationship is worth the effort that it costs to write a letter. Also all of our electronic communications will be lost when we are all dust, but our writing on cards will survive us for the historians of the future to understand how we lived. With that said, I love the blessing that this card has and I recommend that you read it, it’s old, but that just means it was good enough to stand the wear of time.